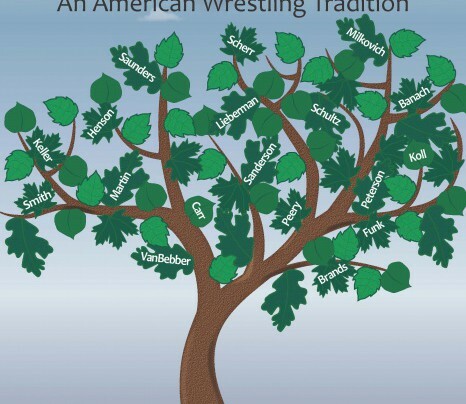 Family Ties: An American Wrestling Tradition documents 138 families that meet an established criterion: immediate family members who were NCAA Division I All-Americans, Senior World Tem members, or Olympic Team members. However, the book explores unique aspects of wrestling as it relates to family. Fathers and mothers, husbands and wives, sons and daughters, brothers and sisters, officals and international superstars are examined in the book. The book is a compilation of stories written by several prominent wrestling authors. More than twenty wrestling historians contributed to the research for the book. Each chapter provided insight into wrestling as it relates to family. Many of the families documented are familiar to the wrestling community. Smith, Brands, Sanderson, Carr, Cuestas, Peterson and Peery are a few of the names with family stories. The National Wrestling Hall of Fame & Museum recognizes the benefits wrestling affords-and the special bond that this sport has with family.